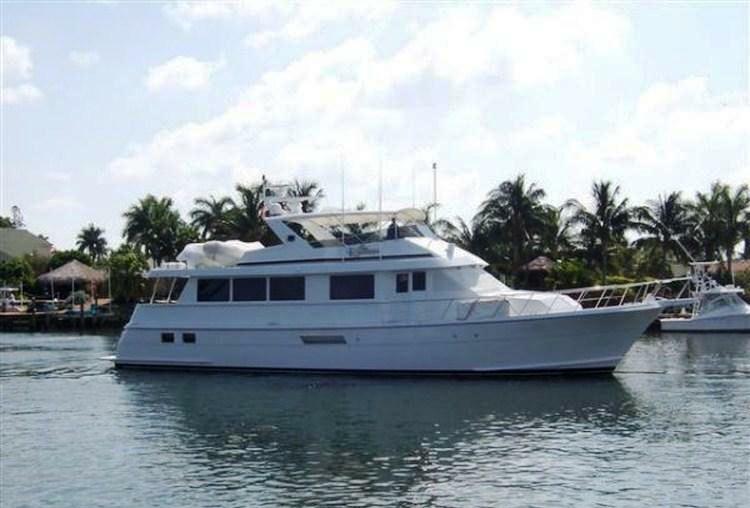 Luxury Motor Yacht SEA DANCER was launched in 1998 by Hatteras, she measures 23 meters (74ft) and can accommodate 6 guests in 3 cabins. 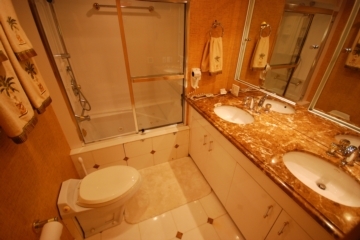 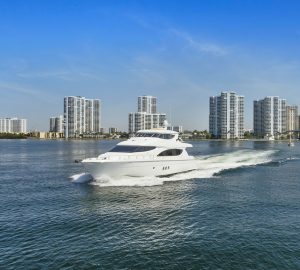 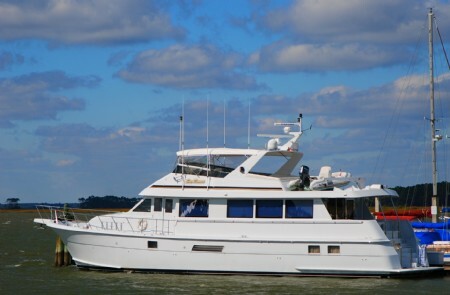 M/Y SEA DANCER is based in South Carolina and charters the East Coast, USA. 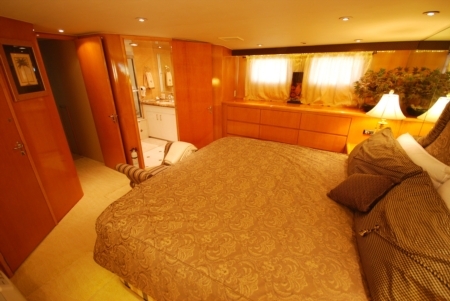 Charter Yacht SEA DANCER has a contemporary décor; her salon is warm and inviting yet spacious throughout. 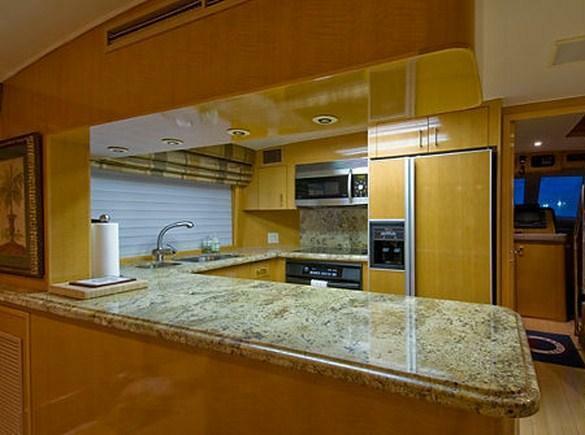 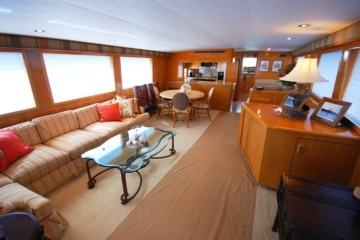 The aft of the salon hosts the lounge area which consists of a large settee to port and an entertainment center to starboard; forward of this the formal dining area features a round marble table for 6, the galley is beyond this on the port side, with an additional dining and seating area to starboard. 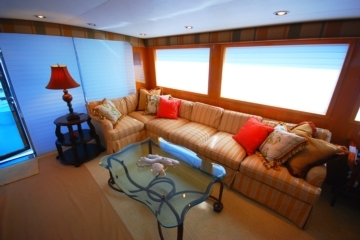 SEA DANCER motor yacht has large panoramic windows encompassing the salon which allows ample natural light, alternatively fabric blinds can be dropped to create more privacy. 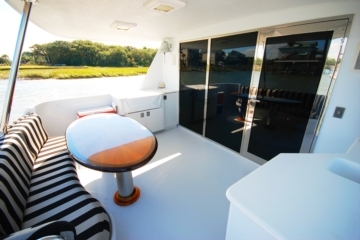 M/Y SEA DANCER provides generous deck space, the aft deck offers alfresco dining and gives access to the extended swim platform below for easy water access, above decks the fly bridge is partly shaded and offers plenty of lounging space for all with additional cocktail tables. 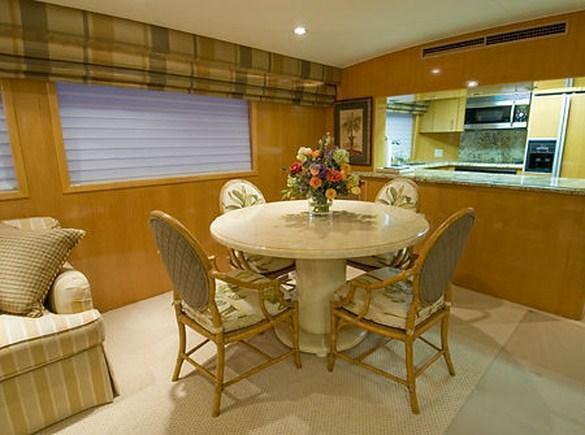 Forward there is further seating for a more private atmosphere. 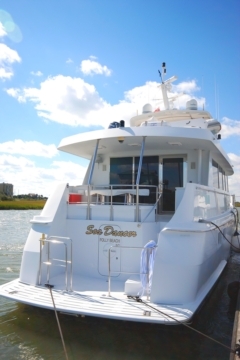 Yacht SEA DANCER has a beam of 5.5 meters (18ft) and draws 1.7 meters (5.6ft), SEA DANCER cruises at an average speed of 19 – 21 knots. 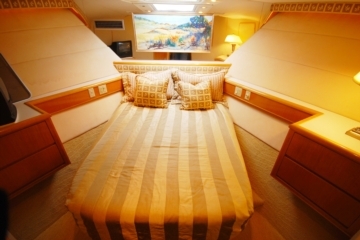 Luxury yacht SEA DANCER offers spacious accommodation for 6 guests in 3 cabins, the master cabin has a king size bed and en-suite facilities with shower and tub, the VIP and guest cabins both offer queen size beds with en-suite facilities with shower and tub. 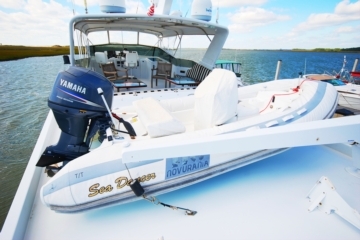 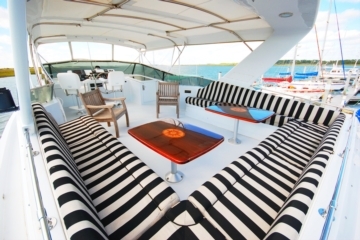 Charter yacht SEA DANCER offers guests 1 x Tender, TV/DVD in the salon, DVD library, Satellite & Local TV, IPod docking station, Snorkel gear and diving by rendezvous appointment.